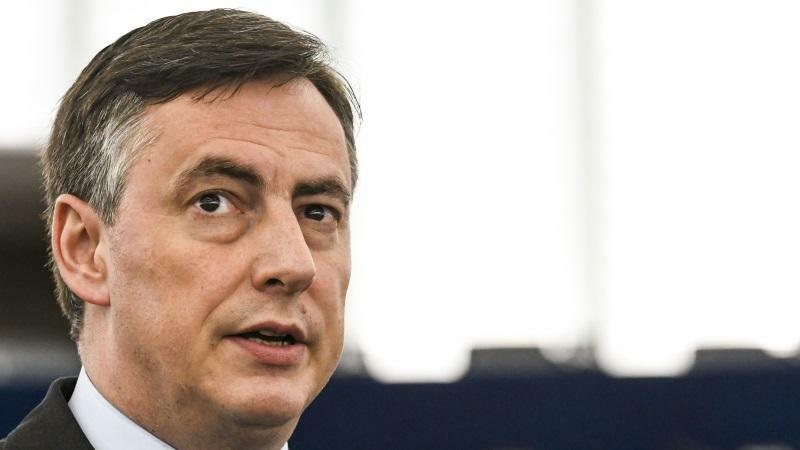 Rather than revoking or undermining the Iran nuclear deal, the EU should think of ways to address issues such as Iran’s human rights record, its ballistic missiles programme or its destabilising role in the region, writes David McAllister. Let me be very clear on the situation in Iran. In February, I was in Saudi Arabia, Kuwait and Iran for a week, as part of a delegation with Parliament’s foreign affairs committees. In all three countries we underlined that US President Donald Trump is right to criticise: Iran’s ongoing support for Hezbollah in Lebanon; Iran’s problematic role in Syria; the grave internal human rights situation in Iran; Iran’s ballistic missiles programme; and the repeated and totally unacceptable threats against Israel. Trump is also right to point out that these facts represent a serious challenge for the entire region and need to be urgently addressed. However, the European Parliament does not believe it is in our common interest to rewrite or cancel the joint comprehensive plan of action (JCPOA) to tackle these above-mentioned issues. This would mean jeopardising a hard-won agreement that gives us unprecedented tools to inspect Iran’s nuclear activities and ensure the security of the region. When the negotiation teams drafted the JCPOA, they made a conscious choice to leave these regional issues aside in order to find an agreement the government in Tehran would be willing to accept. This does not mean they didn’t take these points seriously, but that they preferred dealing with them in the relevant formats and fora outside the JCPOA. This is the position we in the European Parliament still hold today – and for good reason. Israeli Prime Minister Benjamin Netanyahu claimed that Iranian officials lied when they said the country had never pursued nuclear weapons and presented a significant number of supporting documents. However, it is important to note that the evidence Netanyahu provided was in relation to Iran’s nuclear activities before the JCPOA was put in place in 2015, but does not question Iran’s post-2015 nuclear compliance with the Iran deal. This evidence was precisely why the E3+3 worked on an agreement that curbs Iran’s nuclear programme in the years leading up to 2015. In any case, the International Atomic Energy Agency (IAEA) is the only impartial organisation monitoring Iran’s nuclear activities. It is therefore up to the IAEA to investigate the archives of Iran’s past nuclear weapons development as revealed by Netanyahu. What exactly is at stake? In October last year, in the absence of any apparent violation of the nuclear deal by Iran, Trump announced that the US would withdraw from the Iran deal based on the broader criterion of “vital US national interest”. However, he made the final decision on the American withdrawal from the deal dependent on whether the parties to the agreement – that is the E3+3 (China, France, Germany, Russia, UK and US) and Iran – agree on changes to the deal by 12 May. This is a key moment. Should Trump decide to leave the JCPOA, we may see severe implications on: Iran and its ability to build a nuclear weapon; the geopolitical situation in the Middle East; European investments in Iran; the credibility of the US, the EU and the UN; and the future of the Nuclear Non-Proliferation Treaty (NPT). So far, Iran has remained committed to the agreement. In March this year, the IAEA confirmed for the tenth time that Iran is indeed implementing all its nuclear-related commitments in line with the comprehensive and strict monitoring system under the JCPOA. By withdrawing from this agreement, the US would send the wrong message, undermining this valuable example of successful multilateral diplomacy and jeopardising the security of the entire region. After withdrawing from the Paris climate change agreement and the decision to engage in trade wars with other WTO members, withdrawing from the JCPOA would be yet another regrettable milestone in the US’s path away from a multilateral system based on international law. This is a slippery slope: without international law, there is no legal certainty in international relations, and without legal certainty only anarchy and the law of jungle applies. If the US embarks on this path, Iran is likely to react with defiance and may even decide to leave the JCPOA and stop applying the additional protocol of the Nuclear Non-Proliferation Treaty. Officials in Tehran have already made clear that they are prepared to resume Iran’s nuclear programme “at much greater speed”, if the US withdraws from the accord. All these provisions and in particular the strong monitoring system we have set up demonstrate that we have a very ambitious deal in place. It is highly unlikely that Tehran would ever sign up to permanent limitations. Rather than revoking or undermining the deal, we should think of ways to address issues we are concerned about, such as Iran’s human rights record, its ballistic missiles programme or its destabilising role in the region, outside of the scope of the JCPOA. We should also be thinking about the next steps to ensure that Iran’s nuclear activities remain peaceful even after the terms of the JCPOA expire.